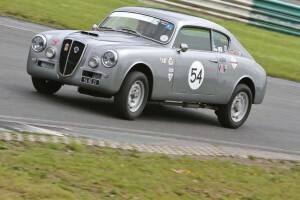 MEC run one Circuit Motor Racing event each year, which can vary from a smaller scale Clubman event to a full International event. The club runs one event each year under its own name, and club personnel assist at several other events during the racing season. These events are normally run in Mondello Park with the Club providing the key organisational personnel, in conjunction with Mondello Park management and staff. “Single Seaters” – Formula Libre, Formula Ford 1600, Formula Vee and Formula Sheane. “Saloon” – Irish Touring Cars, Seat Cupra's, ASK Supercars, Fiesta and Fiesta STs. “Sportscars” – Ginetta Junior, "Irish Sports Cars" (Strykers) and Global Lights. There are also classes for Vintage, Historics and Future Classics. Due to the varied nature and variety of racing events held in Ireland and across the globe there is no one single place to point to for specifications. Depending on the nature of the sport there are very detailed and specific regulations in the Motorsport Ireland Yearbook released every year. These regulations will point you in the right direction so that your vehicle will pass scrutiny at the event. Each of these classes of racing has its own appendix in the Motorsport Ireland Yearbook which can be found here.